We can also produce Giclée prints from original artworks. The process involves photographing or scanning the original artwork producing a high quality digital file that can be colour corrected as required to match the original artwork as closely as possible. We print, but we also do a couple of other things too. We now produce tassie oak photo rails. Magnets hold these finished oak rails to the top and bottom of any print. We use a waxed cotton cord as the hanger. Foamcore is a lightweight structure, made of polystyrene foam which is sandwiched between two pieces of card. 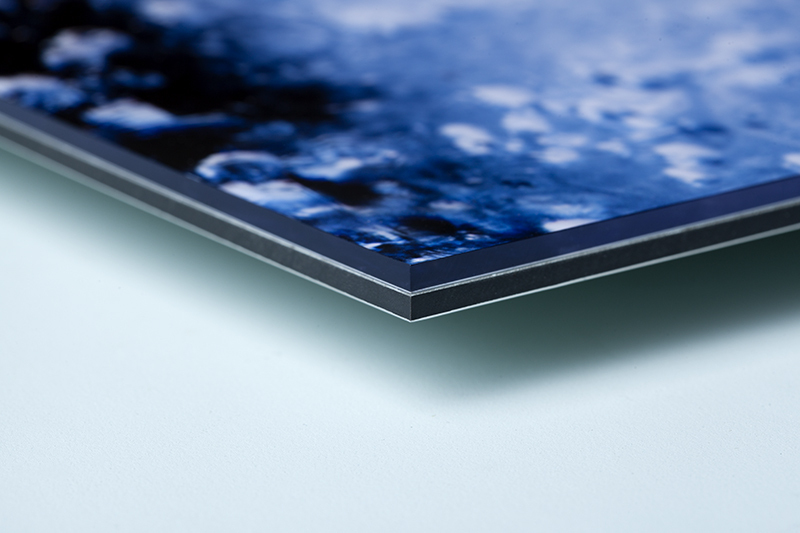 It's lightweight, making it perfect for exhibitions, displays and framing. Foamcore comes in either 5mm or 10mm thickness. 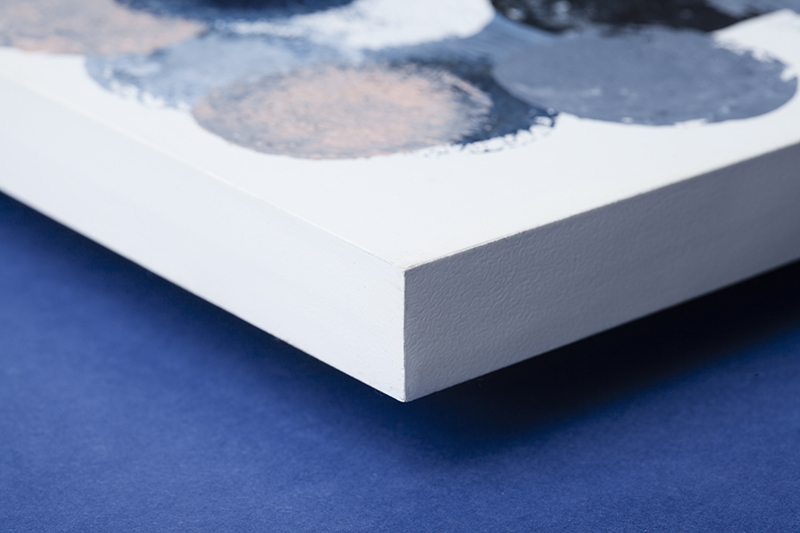 Artmount is made from lightweight polyurethane foam. It's ideal for permanent print displays or one off exhibitions where something light is necessary. Finished with either black or white edging. It comes in either 10mm or 20mm thickness. Dibond or ACP is an aluminium composite panel which offers stability, durability and a flat mounting surface. It has a modern and contemporary look and comes ready to hang so framing is not nessesary. 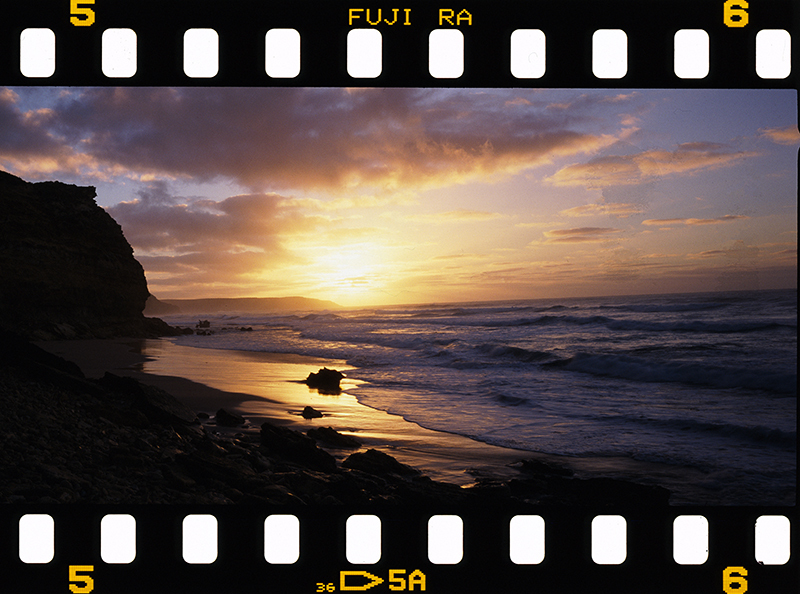 We have a top notch scanner and can scan your film for you. 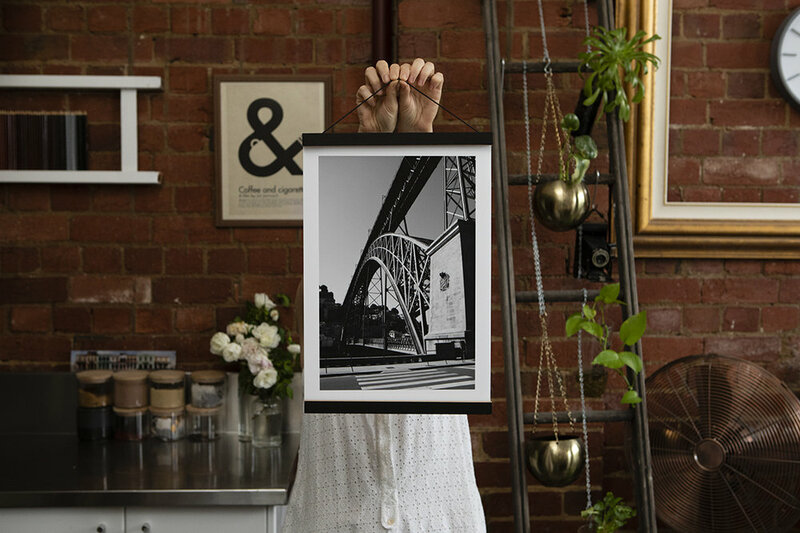 Acrylic photo mounts are a stunning way to display your photos as sleek wall art. They're a modern way to display art without the use of a frame. Acrylic photo mounts come in 3mm or 6mm thickness and can be backed with 3mm dibond or 1mm PVC. Need your artwork scanned? Yep, we can do that. We'll work hard to match your colours and get them looking as close to the original as possible.